Make your transition into your first apartment or new apartment smooth and easy by hiring New Jersey apartment movers. Trust us, you’ll be pat yourself on the back for making such a great decision. Smart Price Moving professional apartment movers can have you out of your old apartment and into your new apartment faster than you’d think. (Read our professional moving company reviews—they’re proof!) We’ll handle your belongings with care and you won’t have to worry about carrying heavy and bulky items like couches and mattresses up flights of steps. Plus, as always, our rates are always affordable and catered to your specific needs. They never include any hidden fees so you can trust that what we quote is what you’ll pay. Moving further away? We will happily provide professional apartment movers to help you relocate along the East Coast and beyond. Whether you’re moving from New Jersey to Georgia or New Jersey to Ohio—we’re here to help. 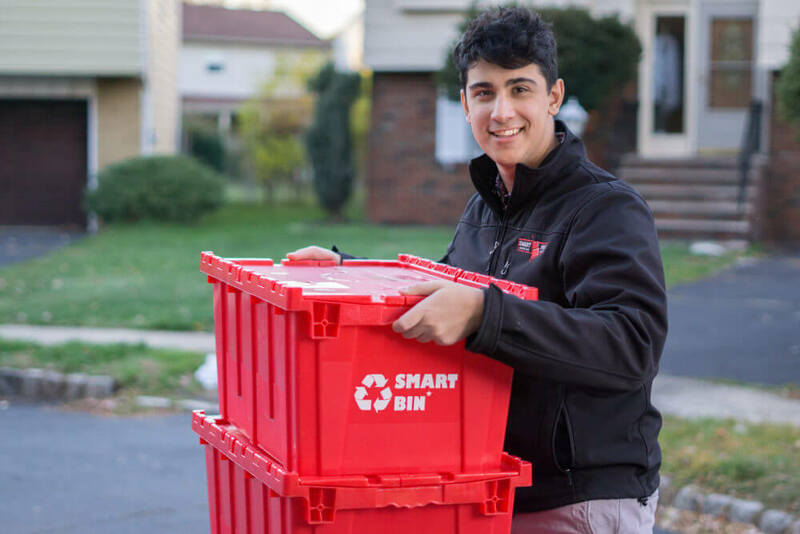 Reusable, eco-friendly Smart Bins are always provided free of charge with any move. Get a Quote for Professional Apartment Movers! Call us now for affordable apartment moving rates. Call us at 1-862-253-4436 to learn more about how to hire professional apartment movers. Our customer service reps are eager to assist you!